The performance Mediterráneo was realized by Carlos Martiel in 2017 on the occasion of the 57th Venice Art International Biennale. The work stems from a reflection of the artist on the social theme of immigration and the consequent dramatic deaths in the Mediterranean Sea. Inside a structure designed by the artist, a copious amount of water from the Mediterranean Sea has been inserted, taken directly from the Venice lagoon. 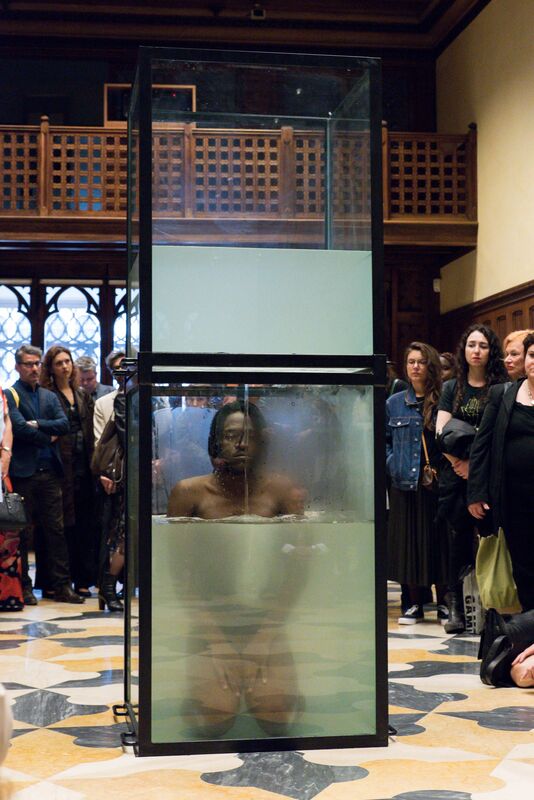 Within thirty minutes, the water slowly descends through a hole, until the artist, positioned in the lower part of the glass case, is submerged.